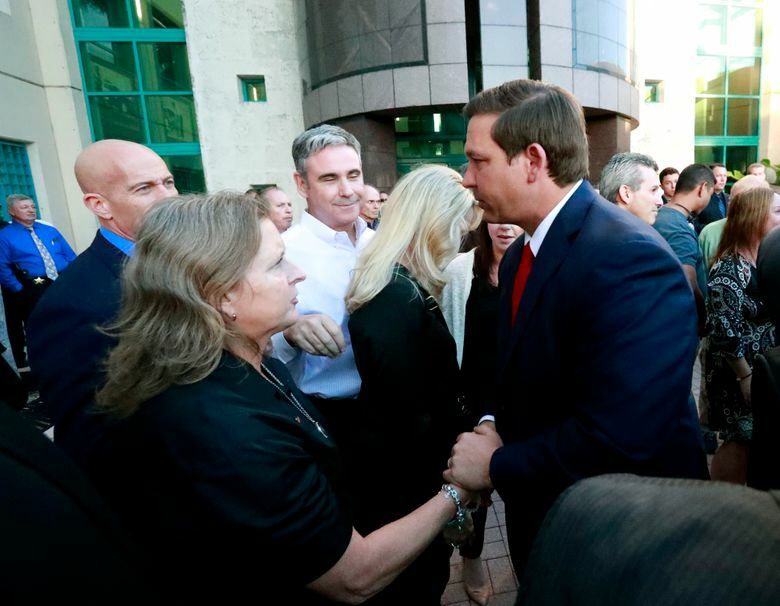 DeSantis said during a news conference outside the sheriff’s office headquarters that Israel failed to keep families and children safe before and during the Feb. 14 shooting that left 14 students and three staff members dead inside the three-story freshman building. During the shooting, then-Broward Deputy Scot Peterson, who was assigned to the school, drew his gun but took cover instead of charging inside. Seven other deputies who arrived within minutes also failed to enter, even as officers from neighboring Coral Springs went into the building. Israel earlier changed the office’s policy from saying deputies “shall” confront active shooters to “may.” He said he didn’t want to deputies to undertake suicide missions. Deputies also received two calls about suspect Nikolas Cruz in the months before the massacre saying he had amassed an arsenal and was a potential school shooter, but took no action. 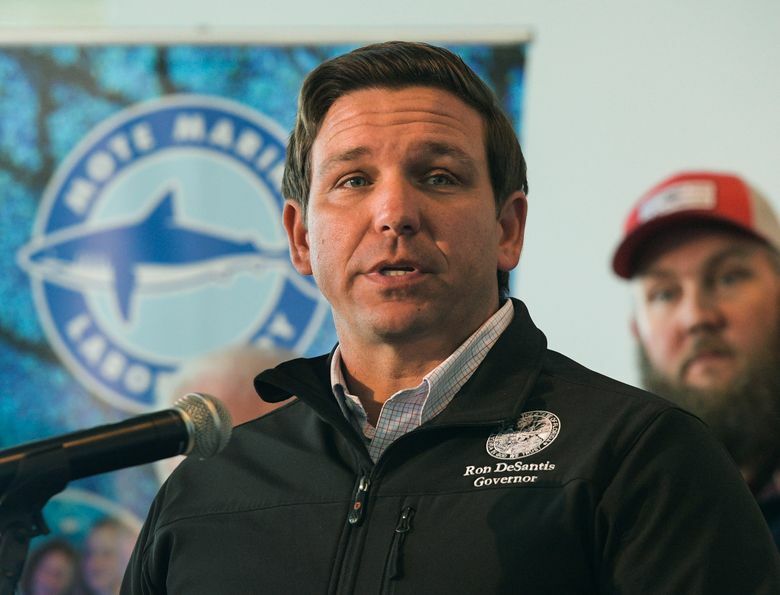 Minutes after DeSantis’ announcement, Israel said he “wholeheartedly” rejected the governor’s order and would fight it in court, arguing that DeSantis was making a “power grab” against the will of the county’s people who elected him. 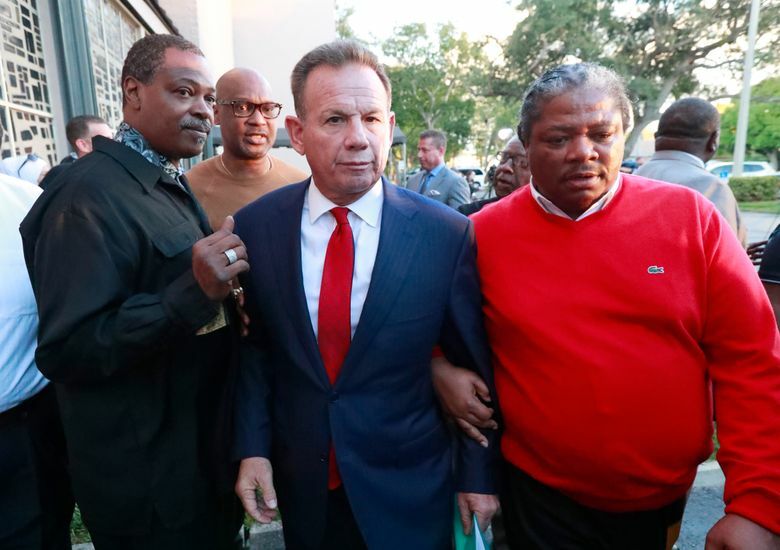 He said DeSantis was acting on behalf of the National Rifle Association, which quickly blamed the sheriff’s office after the shooting. Under Florida law, the governor can suspend elected officials for criminal activity, misfeasance, incompetence or neglect of duty. If Israel challenges the suspension, the state Senate would hold a trial and could either fire or reinstate him. DeSantis’ Republican predecessor, now-U.S. Sen. Rick Scott, refused to suspend Israel, saying he wanted to wait until investigations were completed. Fred Guttenberg, whose 14-year-old daughter Jaime was fatally shot as she ran down a third-floor hallway, inches from the safety of the stairwell, said she and other third-floor victims could have been saved if Peterson or other deputies had gone inside immediately. A 15-member state commission that recently completed its initial report on the shooting said deputies also had about 20 contacts with Cruz as a juvenile — mostly over arguments with his now-deceased mother. Israel has said none of those contacts warranted an arrest. Law enforcement members of the state commission investigating the shooting have agreed with that conclusion. But commissioners also concluded that the department’s active shooter training had not been effective. Still, Pinellas County Sheriff Bob Gualtieri, the commission’s chairman, and other law enforcement officials on the panel have said they didn’t think Israel should be suspended. 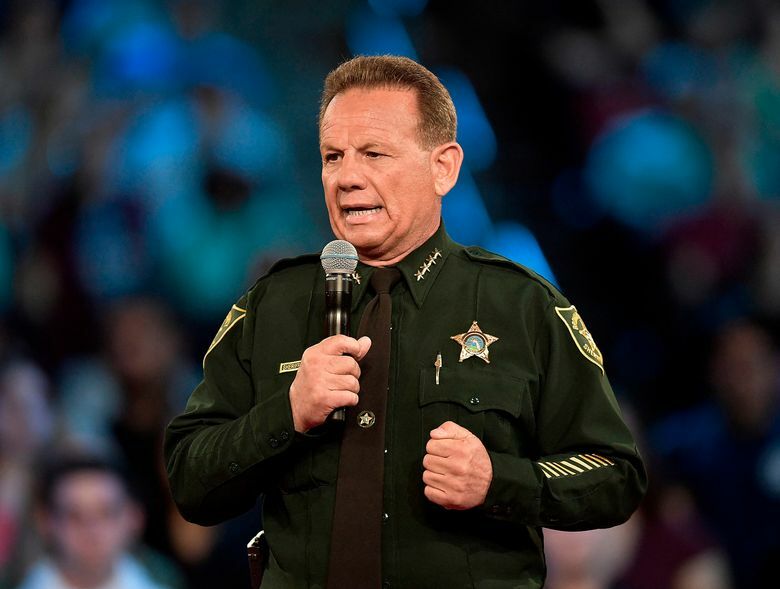 Israel, 62, was elected sheriff in 2012 after a long career in law enforcement. After taking office, Israel, a Republican until changing parties shortly before running in 2008, received criticism over his friendship with notorious GOP operative Roger Stone, for promoting Stone’s inexperienced stepson to detective and for accepting gifts from a wealthy benefactor. However, community leaders praised his work with the homeless, minority and gay communities. Violent crime went down, and he easily won re-election in 2016 to oversee the county’s 2,800 deputies. Shortly after Israel’s second term began, a man retrieved a handgun from his luggage at Fort Lauderdale’s airport and opened fire, killing five. While Israel’s deputies apprehended him within 72 seconds, the draft of a county report said Israel and others didn’t control the chaos, leaving passengers huddled in fear for hours. He criticized the draft, and the final version was less harsh — but many of the same communications problems that plagued the airport response were repeated at Stoneman Douglas.